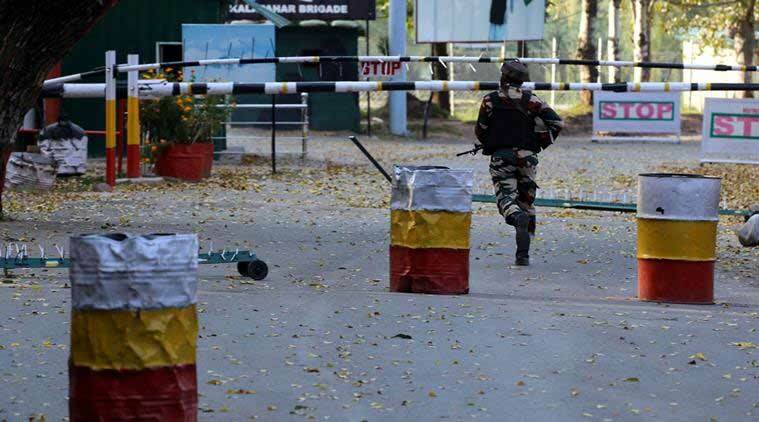 The audacious terror attack on a brigade headquarters in Uri in the early hours of Sunday, September 18, that resulted in the death of 17 Indian soldiers and injured over 20 troops is a very serious operational lapse. That four armed terrorists could kill so many soldiers in a fortified army camp is an illustration of the asymmetrical advantage that has progressively accrued to the adversary. The loss of uniformed personnel in this manner against a determined and opaque adversary in the proximity of the LoC (Line of Control) draws attention to two interlinked issues: The complexity of the proxy war that Indian security forces have been dealing with in Jammu and Kashmir for 26 years and the chinks that the enemy is able to periodically exploit with impunity. 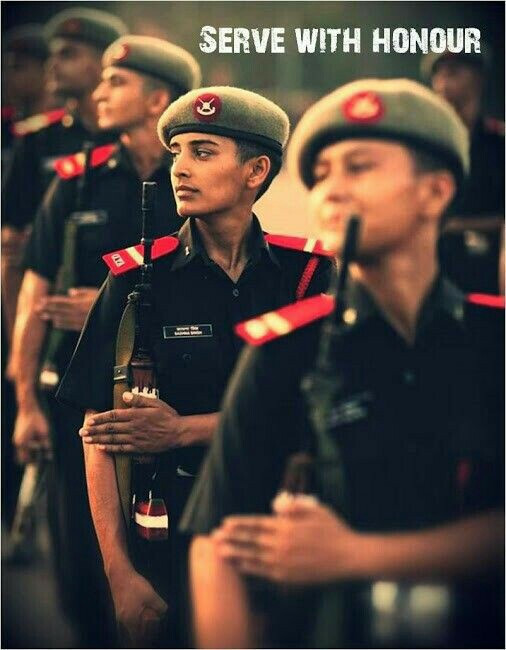 On 10 September this year, 249 of you (217 Gentlemen Cadets and 32 Lady Cadets) stepped over the “Antim Pag”, slow marching to the soulful Auld Lang Syne. At the majestic Parmeshwaran Parade Ground, you were accorded a unique privilege. You passed out of OTA Chennai, commissioned into the Indian Army as officers under the benign gaze of your Supreme Commander, the President of India. Addressing you, the Supreme Commander said, “A billion hopes rest on your young and brave shoulders”. Truer words have not been uttered. You have been through Indian Army training. That’s just hell by another name. Give yourselves a pat on the back. You are a survivor. As an old soldier, I would like to share a few thoughts with you. I hope these will find a corner in your hearts. Your first loyalty is to India and its constitution. Mother India chooses its bravest daughters and sons to guard her honor. You have walked on fire to get those stars on your shoulders. Many a time during training, you may have wanted to quit. You did not. You are made of different molecules. Your unit/ regiment is your family. You will live and die for India but you will live and die with your unit. This bond is unbreakable, even in death. You will be remembered for eternity. Spend time with your troops. Get to know them. This is the brotherhood of Olive Green. You are their leader. If you are worthy, they will march with you to the very gates of hell. Remember the legend of martyr Lance Naik Hanumanthappa? Sometimes, it is possible for mortals to challenge the gods. Many of those mortals wear OG. Train, learn and read. That is the only way to succeed in the Indian Army. All of you, without exception, should be scholar warriors. Read military history, read the future of warfare and read just about anything that you can get your hands on. Absorb knowledge. It will stand you in good stead. Airbus Defence and Space imagery captured on 28 September 2015 and on 18 April 2016 shows new construction at Pakistan’s Khan Research Laboratories (KRL) site in Kahuta that is consistent with that of a uranium enrichment facility. The area is approximately 1.2 ha in size and is located within the secure area of the KRL in the southwestern part of the complex, which is situated in Pakistan’s northeastern Punjab Province. BERLIN – China is a big fan of dams. Indeed, over the last 50 years, the country has constructed more dams than all other countries combined. But there is one dam that China never managed to get built: the Myitsone Dam in Myanmar. And Chinese leaders can’t seem to let it go. The Myitsone Dam was to stand at the headwaters of the Irrawaddy River, Myanmar’s lifeline. It was designed as a hydroelectric power project, which would generate energy for export to China, at a time when Myanmar’s economy depended on its giant neighbor. Ruled by a brutal military junta, Myanmar faced crippling United States-led sanctions and broad international isolation. Where others saw human-rights violations, China saw an opportunity to advance its own strategic and resource interests. When the Myitsone Dam project was introduced, China was also establishing a foothold in Myanmar’s Kyaukpyu port on the Bay of Bengal, from which it would build energy pipelines to southern China. This is the age of the platform. Creators and owners of platforms are the big economic winners today. India is nowhere in the platform race because it has not received sufficient national support. The one potentially global platform we have created is Aadhaar, which can be put on the world map by getting big tech giants to use them. It needs no genius to know that this is the age of the platform in technology. Those who create and own technology platforms will walk away with the lion’s share of the economic benefits. This is why Google is valued at $540 billion, Apple at $600 billion and Facebook and Amazon at $360 billion each. And none of the four is the dominant player in the Chinese market. China knows the value of owning its own platforms, hence, it is Baidu and Alibaba who rule the roost there. A platform is a compelling technology network that users can’t afford to be without. It enables thousands of other businesses and software developers to attach themselves to it. As users and developers increase, they make the platform even more invincible. Once a platform achieves a critical mass of converts, network effects ensure that it keeps growing. India is nowhere in the platform race as of now because we simply have not taken a national view of platforms and technology. This has to change, for there is no alternative to national support for viable technology platforms that are owned by India. I spent two and a half years from December 1968 to May 1970 on the Cease Fire Line (CFL) – as the Line of Control (LOC) was known then. The CFL was based on the 1949 Karachi Agreement while the Line of Control on the 1972 Shimla Agreement. The situation along the CFL in my time was dormant and the principle of ‘live and let live’ prevailed. While I did two spells in Jammu and Kashmir in 1975-1977 and 1988-1990, I did not get a chance to serve on the LOC. By late 1970s, as the Pakistani Army recovered from the debacle of 1971, the situation along the LOC had dramatically altered. There were regular exchanges of small arms fire and occasionally artillery fire with the aim of causing maximum casualties to each other. A new military term – ‘Line of Control Warfare’ – came into being. The defences on both sides were strengthened and heavy direct firing weapons were placed on the posts along the LOC. Old anti-aircraft and artillery guns in direct firing role, and anti-tank missiles were used to destroy defences. This competitive conflict continued for a decade. However, both sides generally followed an unwritten code of not physically violating the LOC. The situation escalated post-Siachen, in 1984. Attempts were made to capture isolated posts and occupy tactical features not physically held. Even isolated bunkers became bones of contention. With effect from December 1989, a new dimension was added to the competitive conflict along the LOC. The nullahs and forested areas along the LOC became routes for infiltration by terrorists and the LOC itself became the first line of defence against the proxy war. 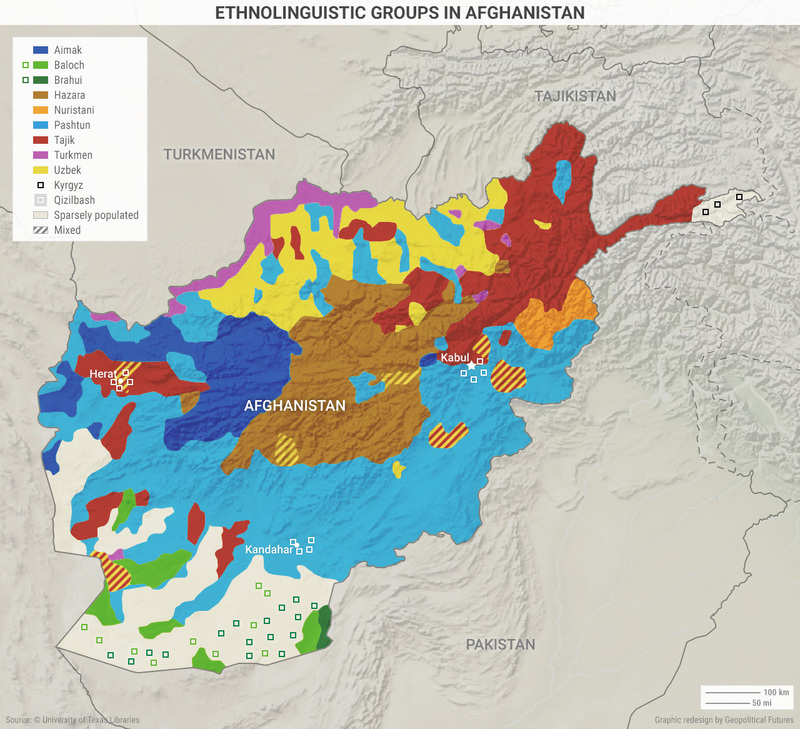 This map reflects the current Taliban battlespace in Afghanistan. Districts shaded in red are under Taliban control, meaning that the district headquarters in the main town, as well as the majority of surrounding areas, are controlled by the Taliban. The districts in yellow are partly under Taliban control. Although the Afghan government still holds the district headquarters, the Taliban holds power in surrounding areas. The Afghan government confirmed in late July that roughly a third of Afghanistan’s 384 districts are under serious threat from insurgent groups. Our research suggests that 44 districts are under Taliban control and 101 are under partial Taliban control. Despite Western backing, the government has been unable to suppress the Taliban and gain control of the country. As the security situation in Afghanistan deteriorates, the most reasonable question to ask is whether the Western-constructed regime is on the verge of total collapse. In many ways, the state never really took off, and civil war has continued uninterrupted for the past 37 years. Increases in airstrikes, U.S. injuries, and a wider range of authorities for U.S. troops are revealing a much more involved U.S. military presence in Afghanistan, despite a planned reduction of troops there by the end of the year. The top U.S. general in Afghanistan said Thursday his forces have carried out about 470 airstrikes in support of the government's efforts to rid the country of insurgents and terrorists. In fact, more weapons were employed through airstrikes in Afghanistan last week than any other week in 2016, Lt. Col. Chris Karns, a spokesman for US Air Forces Central Command, told VOA Thursday. The number of weapons released during strikes are up more than 80 percent from the first half of 2015 to the first half of 2016, according to data released by the U.S. Air Force. Approximately 40 strikes have been conducted under the new authorities granted by the president last month to support the Afghan government's efforts, Gen. John “Mick” Nicholson told reporters Thursday via video conference from Afghanistan. Had Major General Naseerullah Babar been alive today, he would have been hugely disappointed with the current state of affairs between Pakistan and Afghanistan. His contribution in using Afghanistan as a launch pad to promote Pakistan’s Central Asia strategy in the late 1990s is well depicted by Ahmed Rashid in his book The Taliban: The Power of Militant Islam in Afghanistan and Beyond. According to Ahmed Rashid, under the protection of the newly formed Taliban, Gen Babar had personally led a convoy of trucks carrying Pakistani goods to Central Asia via Afghanistan. This was the first attempt to foster trade cooperation between Central Asia and South Asia in the post-cold war era. This process of linking up the two sub-regions of Asia received a further boost in 2001 when the United States arrived in Afghanistan. With the active backing of the Americans, ambitious plans were drawn up to launch energy and trade connectivity projects in the Central Asia-South Asia region. There’s a growing intimacy between two of Asia’s big naval powers and it’s causing disquiet among regional watchers and maritime policymakers. Russia and China are growing closer in the nautical realm, much to the chagrin of Indian, American and Southeast Asian analysts who feel that their growing bilateral synergy could impact the balance of power in Asia. The trigger for the latest bout of anxiety is ‘Joint Sea-2016’— a joint Sino-Russian naval exercise featuring surface ships, submarines, fixed-wing aircraft, ship-borne helicopters and amphibious vessels navies. China has announced that its biggest naval drill with Russia will include the People’s Liberation Army Navy’s (PLA-N’s) Nanhai fleet, and will involve, among other exercises, anti-submarine and amphibious missions. This is the first time Russian and Chinese naval contingents are meeting for combat drills in the South China Sea (though reportedly not in a contested part of the region), however there’s been visible evidence of a growing synergy in other parts of maritime Eurasia. In August last year, the two navies carried out ‘Joint Sea 2015 II’, a high-end naval exercise in the Sea of Japan, featuring live-firing drills, anti-submarine operations and close-support combat drills. During an earlier exercise in the Mediterranean Sea and Black Sea in May the same year, senior commanders made statements challenging America’s strategic dominance of Eurasia. Russian and Chinese leaders believe that the US is the central destabilising factor in the region’s geopolitics, and is engaged in a systemic containment of Moscow and Beijing. By staging close-combat naval exercises, they hope to warn Washington that its primacy in maritime Asia is at an end. Over the past year or two, someone has been probing the defenses of the companies that run critical pieces of the Internet. These probes take the form of precisely calibrated attacks designed to determine exactly how well these companies can defend themselves, and what would be required to take them down. We don’t know who is doing this, but it feels like a large a large nation state. China or Russia would be my first guesses. […] Who would do this? It doesn’t seem like something an activist, criminal, or researcher would do. Profiling core infrastructure is common practice in espionage and intelligence gathering. It’s not normal for companies to do that. Furthermore, the size and scale of these probes – and especially their persistence – points to state actors. It feels like a nation’s military cybercommand trying to calibrate its weaponry in the case of cyberwar. It reminds me of the US’s Cold War program of flying high-altitude planes over the Soviet Union to force their air-defense systems to turn on, to map their capabilities. China has launched its second-ever space lab, a key part of the nation's plan to have a permanently staffed space station up and running by the early 2020s. The uncrewed Tiangong-2 spacecraft lifted off today (Sept. 15) from Jiuquan Satellite Launch Center in northwest China at 10:04 a.m. EDT (1404 GMT; 10:04 p.m. local Beijing time), riding a Long March-2F T2 rocket to orbit. The space lab will then climb to an altitude of 244 miles (393 km) — the same height at which China's future space station will operate — and await a mid- to late-October visit from two Chinese astronauts aboard a vessel called Shenzhou-11. 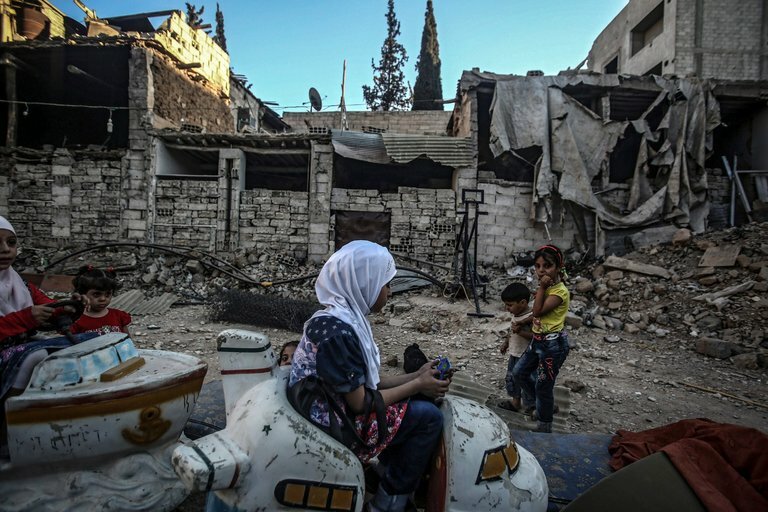 Even if this week’s cease-fire in Syria quickly collapses — as most analysts expect it to — it could have a lasting impact on the conflict. Political science research shows that cease-fires change more than just conditions on the ground: They alter how a war’s participants weigh the benefits of fighting versus talking. Cease-fires can create something like a virtuous cycle, studies have found, making future pauses more likely. Each one has a better chance of lasting longer, discouraging violations, isolating bad actors and building trust among adversaries. This cycle is not always as visible or politically urgent as the question of who is dropping bombs where on a particular day. But, over time, it can shift the participants’ calculus in ways that build conditions for peace. President Obama has made it clear that he intends to veto the legislation the House passed on September 9, 2016 that would allow families of those killed in the Sept. 11, 2001 attacks to sue Saudi Arabia for any role its officials played in the terrorist attack. He should veto the bill and the Congress should pause and not override that veto. It is all too easy to understand anger the families and survivors of those who were victims on 9/11 feel, and the desire they have to find someone to punish and blame and for some compensation for their losses. It is equally easy to understand the mixed motives of a Congress caught up in the politics of fifteenth anniversary of the attack, an election year, and the desire not to seem soft on terrorism. Saudi Arabia is also one of America’s most difficult strategic partners for Americans to understand, and its progress, reforms, and strategic importance are often badly understated. It is easier to focus on the fact it is an Islamic state at a time when extremist threats like ISIS, Al Qaida, and the Taliban are at top of mind, than to focus on the complicated security issues in the Gulf region and the fact the U.S. is critically dependent on Saudi Arabia both in dealing with Iran and in fighting terrorism in the region from which it draws most of its strength. We have entered a post-millennial Cold War, and its frontier is doping. The confirmation came not just with the actions of Russia’s cyber-hacking ‘Fancy Bears’ collective, whoseplunder of the World Anti-Doping Agency’s central database belied their cartoonish name, but with a jaw-dropping exchange this week between the Russian Embassy in London and a journalist who dared to point out why the country’s violation of athletes’ privacy was ultimately self-defeating. “Quod licet Iovi?” asked the embassy, mischievously, via its Twitter account. Yes, the old Latin metaphor for double standards: namely, what is permissible for Jove is not permissible for an ox. Or, to extend it to the sports sphere: what is allowed for star American gymnast Simone Biles – who, the Fancy Bears files have shown, has a previously undisclosed therapeutic use exemption (TUE) for medication to treat her attention-deficit disorder – would never be applicable to Russians. Moving past the summer of 2013 has proven difficult for the intelligence community. William Evanina has never met Edward Snowden, but the two are intimately bound. As National Counterintelligence Executive — essentially the man in charge of American counterintelligence — Evanina is tasked with fixing the damage that leaks like Snowden’s have done to the U.S. intelligence community, and preventing new ones. In the summer of 2013, Evanina was assistant special agent in charge of the FBI’s Washington, D.C., field office. When the Snowden breach was announced, he was put on the case. France’s former top SIGINT spy confirms an advanced persistent threat and muses about a merger with German intelligence. Something remarkable happened a few months ago. Bernard Barbier, the former head of signals intelligence (SIGINT) between 2006 and 2014 at France’s foreign intelligence agency (DGSE), gave a speech at one of France’s top engineering schools in which he reflected on his career and imparted some of his wisdom to students. He also said some things that he probably shouldn’t have, like confirming that France was behind the Animal Farm advanced persistent threat, commenting on the SIGINTcapabilities of European allies, and reacting to the revelation that the U.S. National Security Agency (NSA) had compromised the networks of the French presidency. Last week, Barbier’s speech surfaced on YouTube but was quickly taken down. However, it was up long enough for French daily Le Monde to transcribe some of the highlights. Here they are, paraphrased and translated from the original French. For the last year Passive Total has been providing open analysis on an interesting piece of adversary infrastructure and in doing so are shedding informative light not just on that particular adversary activity but on how multiple sources of information can be pulled together to form a more complete picture of what is going on. For example, by understanding the relationships between datasets including open source intelligence, historical DNS records, known malicious domains, historical SSL certificates and numerous facets within those and other datasets, a more comprehensive understanding of an adversaries attack infrastructure can be built out. PassiveTotal is a clear master of this approach to "Infrastructure Chaining" for analysis. In February PassiveTotal provided an update on research into a known adversary campaign that has been reported by Kaspersky as APT Command and Control in the Sky. Commonality with other intrusion sets resulted in this being associated with a group many analysts believe is Russian, but as you can imagine it is hard to find the smoking gun. One of the more interesting elements of this set the way malicious code command and control is being conducted via compromised satellites. Sounds expensive doesn't it? Well it is not expensive. Attack probably cost the adversaries about $1000.00 in hardware plus engineering time. It's one thing for someone to air your dirty laundry. It's another thing entirely to throw in a few choice items that aren't real. In the past few years, the devastating effects of hackers breaking into an organization’s network, stealing confidential data, and publishing everything have been made clear. It happened to the Democratic National Committee, to Sony, to the National Security Agency, to the cyber-arms weapons manufacturer Hacking Team, to the online adultery site Ashley Madison, and to the Panamanian tax-evasion law firm Mossack Fonseca. This style of attack is known as organizational doxing. The hackers, in some cases individuals and in others nation-states, are out to make political points by revealing proprietary, secret, and sometimes incriminating information. And the documents they leak do that, airing the organizations’ embarrassments for everyone to see. In all of these instances, the documents were real: the email conversations, still-secret product details, strategy documents, salary information, and everything else. But what if hackers were to alter documents before releasing them? This is the next step in organizational doxing—and the effects can be much worse. The emergence of cyberspace as a recognized warfighting domain has heralded monumental changes in the US Army’s mission, focus, and structure over the past several years. Currently, the US Army is moving to field the next generation of cyber warfighters, and the need to identify, train, and develop these cyber professionals is becoming increasingly critical. Bearing the responsibility for leading these cyber warfighters, the training and development of the Army cyber officer corps remains at the forefront of issues facing the effectiveness of the Army cyber branch. With the first groups of officers being assigned directly to Army cyber units, the importance of properly preparing and developing the leaders of the Army cyber force is an issue that requires the continued attention of Army leaders in order to ensure the long-term viability of the Army’s warfighting efforts in the cyber domain. The duty of commissioning substantial numbers of these cyber officers falls to the Army’s Reserve Officers’ Training Corps (ROTC), as does the unique developmental, academic, and professional requirements associated with producing junior cyber officers capable of succeeding in a highly complex and technically demanding field. This paper is intended to provide an analysis of the current developmental framework used by the Army ROTC to train, develop, and select its future cyber officers, and propose specific, actionable steps to be taken in order to address the current lack of a formalized system for performing this critical function. On Nov. 14, 2001, a weapons system designed to defeat Soviets tanks on the plains of Europe appeared in the sky over Kabul, Afghanistan. What Secretary Powell seems to have overlooked, or discounted, is the fact that North Korea has served as Iran’s de facto nuclear test ‘facility.’ Granted, it isn’t the optimal solution; but, it is nonetheless an apparent, overlooked aspect of the North Korea/Iran relationship. Indeed, one has to assume that Iranian nuclear scientists have probably been on site in North Korea for all, or almost all, if not all of the North Korean nuclear tests. The development of the smart power grid and the smart meter in our homes to accompany it brings several benefits, such as improved delivery and more efficient billing. Conversely, any digital, connected technology also represents a security risk. Writing in the International Journal of Smart Grid and Green Communications, UK researchers explain how a malicious third party that hacked into the metering system could manipulate en masse the data being sent back to the smart grid and perhaps trigger a power generation shortfall. Carl Chalmers, Michael Mackay and Aine MacDermott of Liverpool John Moores University, explain how the implementation of the smart grid brings many improvements over the traditional energy grid by making use of the vast interconnected infrastructure that allows two-way communication and automation throughout the entire grid, from generator to consumer and back. The Associated Press and two other news organizations sued the FBI on Friday to learn who the government paid and how much it spent to hack into an iPhone in its investigation into last year’s San Bernardino, California, massacre. The lawsuit seeks records about the FBI’s contract with an unidentified vendor who provided a tool to unlock the phone belonging to Syed Rizwan Farook, who with his wife killed 14 people at a holiday gathering of county workers in December 2015. Gannett Co., which owns USA Today, and Vice Media LLC joined the complaint with the AP, seeking to learn more about the mysterious transaction that cut short a legal dispute in which the government sought to force Apple Inc. to unlock the phone. “Understanding the amount that the FBI deemed appropriate to spend on the tool, as well as the identity and reputation of the vendor it did business with, is essential for the public to provide effective oversight of government functions and help guard against potential improprieties,” said the suit, filed in U.S. District Court for the District of Columbia under the U.S. Freedom of Information Act. The idea, posed by Air Force Reserve veteran Sen. Lindsey Graham, R-S.C., stemmed from the ongoing fight over planned budget caps for federal spending for years to come. Despite five years of complaints and dire warnings over the long-term effects of the so-called sequestration restrictions, Congress and the White House have no realistic plans to fix the final five years of spending restrictions. Military leaders must take time to read. In his blog entry “With Rifle and Bibliography,” retired Marine General James Mattis explained that the “problem with being too busy to read is that you learn by experience (or by your men’s experience), i.e., the hard way. By reading, you learn through others’ experiences.” There is no doubt that reading nonfiction and historical works can help leaders experience and understand through the tactical and strategic lessons others have learned. Yet these works—absent the unique emotional and human dynamics conveyed in literary fiction—often offer an incomplete picture. Leadership-focused novels can approximate experience for the reader, strike a deeper chord of emotional resonance, and provide insight into the mercurial dynamic that exists between the leader and the led. Xenophon’s Anabasis and John Milton’s Paradise Lost, for example, serve to illustrate the importance of rhetoric and persuasion in democratic leadership. The Iliad, in its presentation of Achilles and Hector, contrasts a leader driven by personal glory with one urged forward by obligation. Herman Wouk’s naval classic The Caine Mutiny depicts the fragility of an erratic leader who has lost the trust of his subordinates, while Karl Marlantes’ masterful Vietnam War novel Matterhorn reveals the inner struggle of a leader who doubts both himself and his mission.